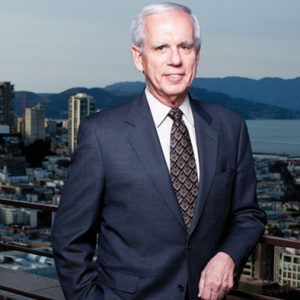 Tony Coelho is a former six-term United States congressman from California and was elected House Majority Whip. Mr.Coelho was the primary author and sponsor of the Americans with Disabilities Act. He is the former chairman and a current board member of the Epilepsy Foundation. In March 2009, Coelho was named as Chairperson for the Partnership to Improve Patient Care (PIPC). In this capacity, Coelho works to amplify the voice of the partnership’s diverse members, including people with disabilities, racial and ethnic communities and the elderly, among others. Coelho was elected to Congress in 1978 and served for six terms until 1989. He served on the Agriculture, Interior, Veterans Affairs, and Administration Committees during his tenure, specializing in disabled rights. In 1986, Coelho was elected House Majority Whip. As the chief vote counter for his party, Coelho oversaw a series of Democratic victories in the House on measures ranging from the budget to cutting off funds for the war in Central America. Coelho was the original author of the Americans with Disabilities Act, signed into law by President George H.W. Bush. By 1994, the U.S. Census Bureau reported that some 800,000 more people with severe disabilities had found employment than were employed when the bill was first enacted. President Bill Clinton appointed Coelho to serve as Chairman of the President’s Committee on Employment of People with Disabilities, a position he held from 1994 to 2001. He also served as Vice Chair of the National Task Force on Employment of Adults with Disabilities. In 1998, Clinton appointed Coelho as the United States Commissioner General at the 1998 World Expo in Portugal. Clinton also appointed Coelho as Co-Chair to the U.S. Census Monitoring Board, a position he held until his appointment as general chairman of the Gore presidential campaign. Coelho now makes his home in Rehoboth Beach, DE. He participates annually at New York Law School for its Tony Coelho Lecture in Disability Employment Law & Policy. He has endowed a chair in Public Policy at the University of California in Merced and also in Neurology for Pediatric Surgery at UCLA. In addition to formerly chairing Life Without Limits and the Disability Pride & Power Committee, he is the past chair of both the Epilepsy Foundation and the American Association for People with Disabilities Boards of Directors. He also serves as the patient stakeholder on the Stakeholder Advisory Group for the TVT Registry, which was created by The Society of Thoracic Surgeons and the American College of Cardiology as a benchmarking tool developed to track patient safety and real-world outcomes related to the transcatheter aortic valve replacement (TAVR) procedure.